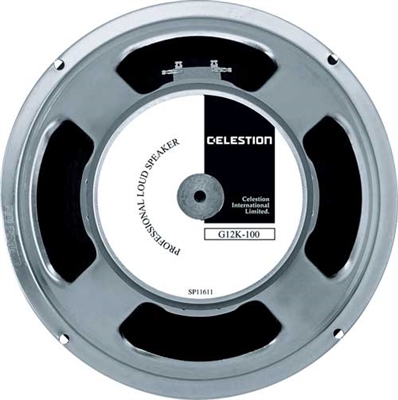 Celestion's very own monster of rock, the G12K- 100, makes full use of the heaviest G12 magnet to combine huge power handling with superb clarity across a wide frequency response. 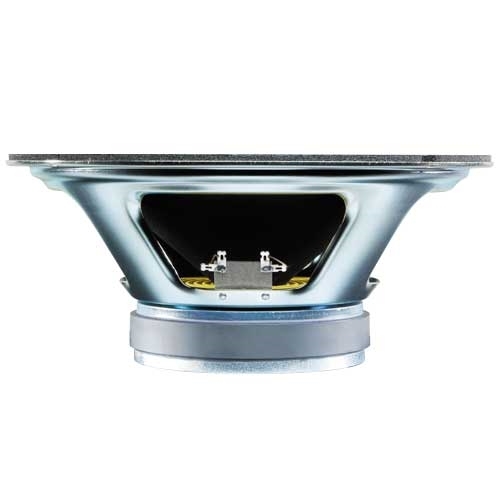 A massive bottom-end, rock-hard mid-range and restrained top-end make this the perfect speaker to add thump and grind to modern high-gain tones. Loaded in 4x12s it delivers its famous sledgehammer lows, as favoured by Slipknot's Mick Thomson, but it also often finds use in small boutique combos, bringing a powerful mix of low-end warmth and mid-range attack.